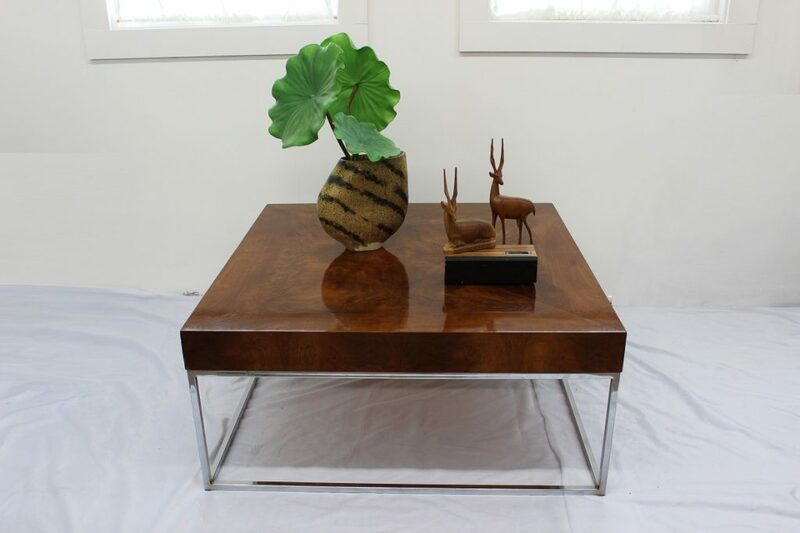 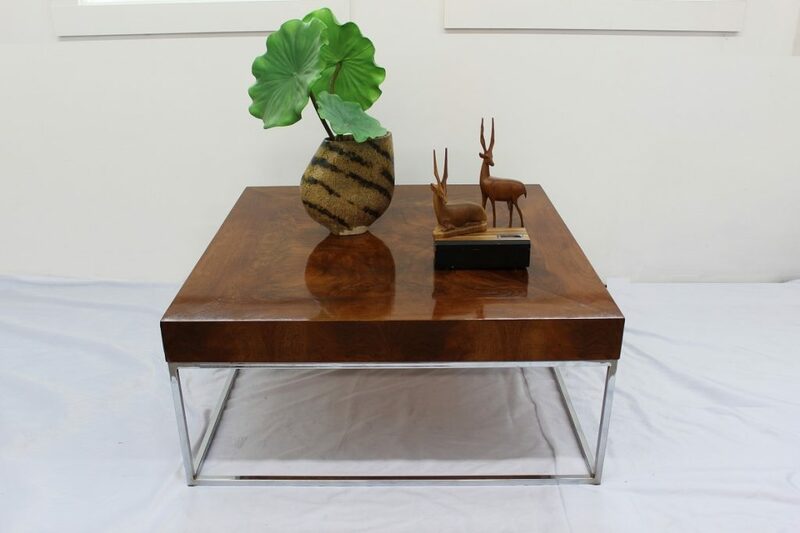 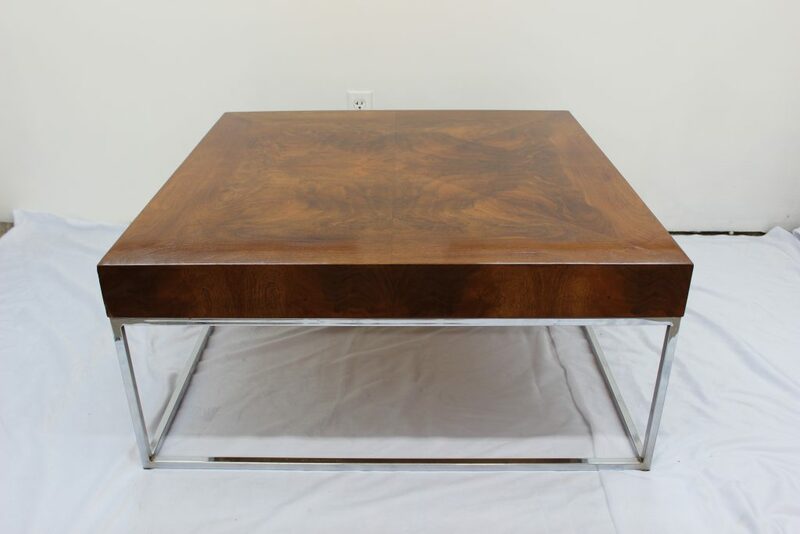 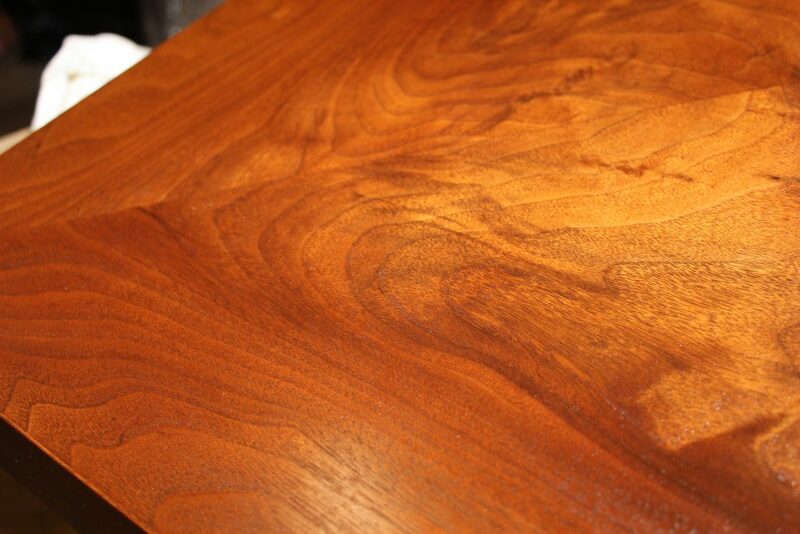 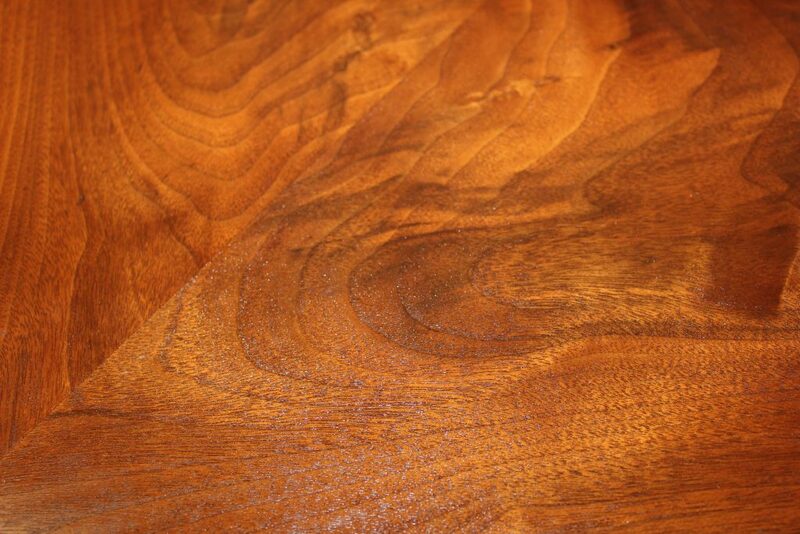 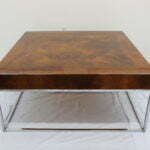 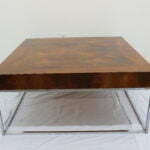 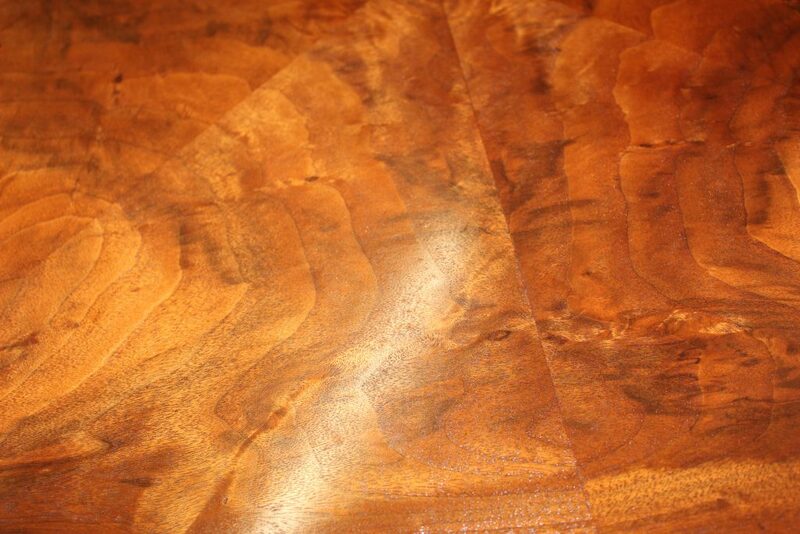 This beautiful Milo Baughman coffee table comes to you with a newly refinished top. 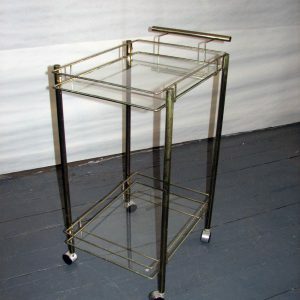 This top sits on a chrome square frame that makes it strong and airy at the same time. 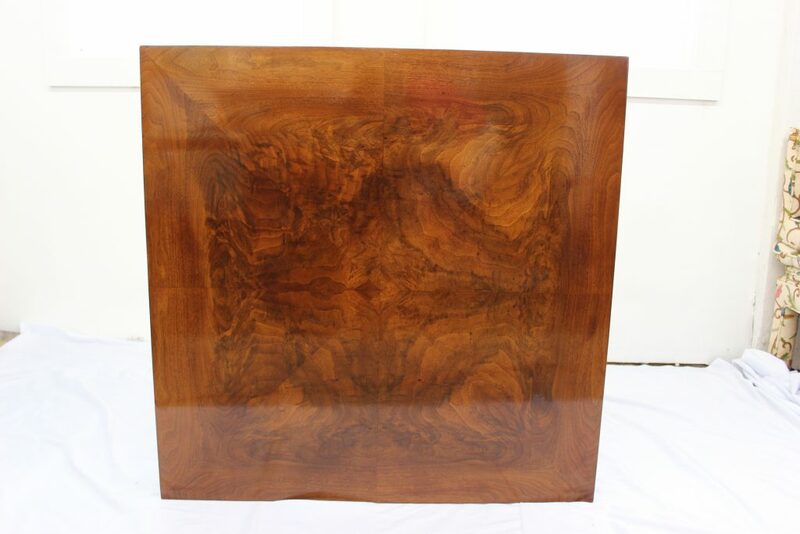 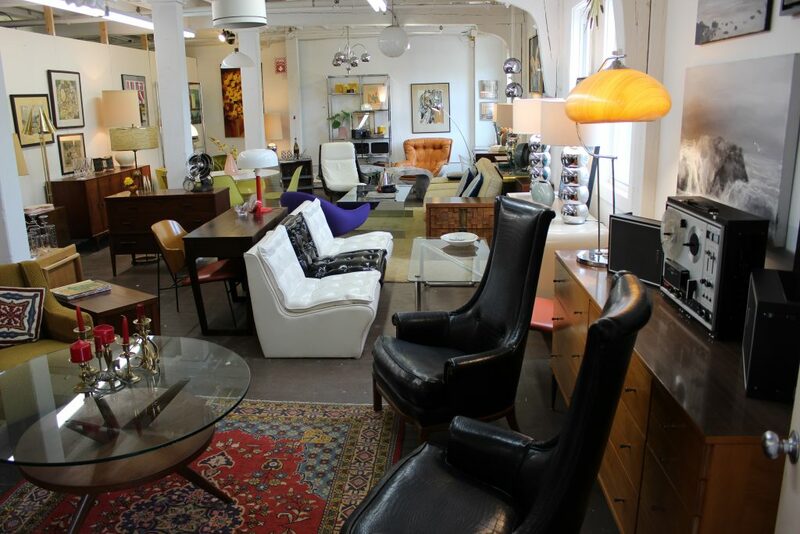 It is a 36″ by 36″ square that will fill your beautiful living room. 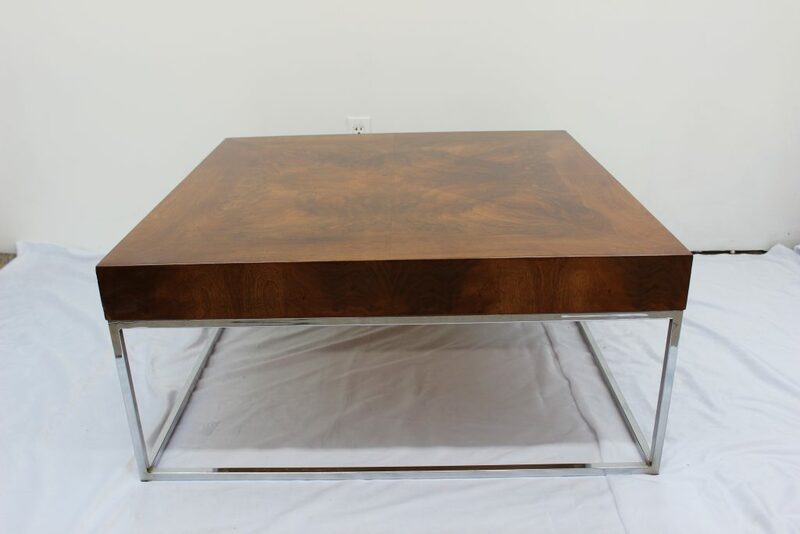 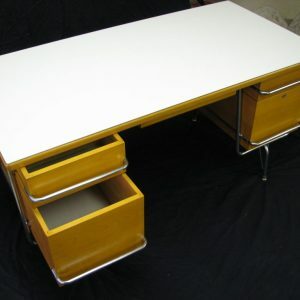 Unfortunately, it doesn’t have a label but it has all the signs of being a Milo Baughman table. 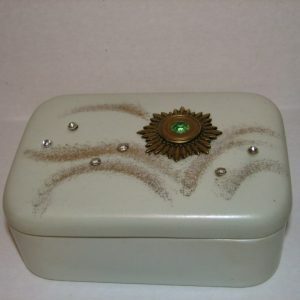 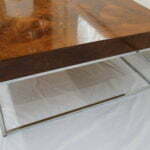 The top has a book match veneer on the top and it creates such a beautiful piece! 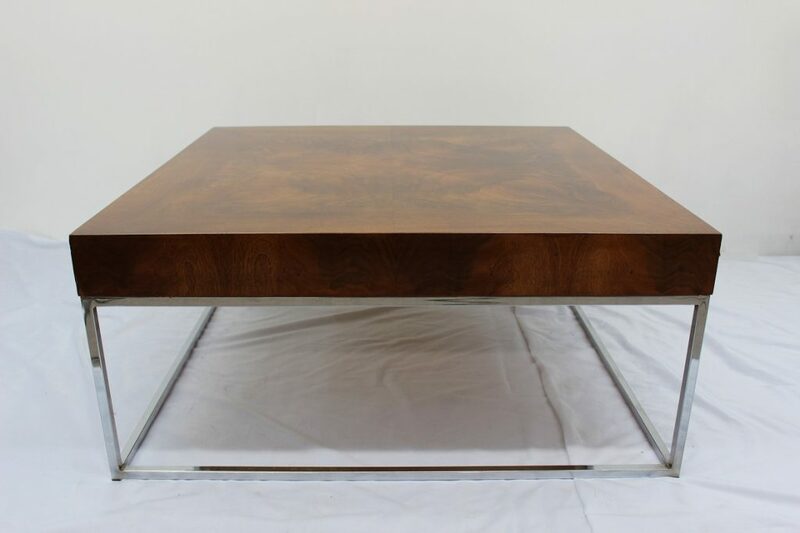 This table is 16 1/2″ high from the floor. 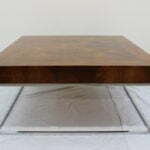 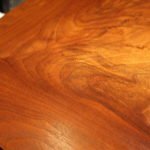 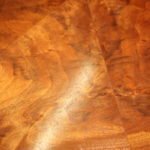 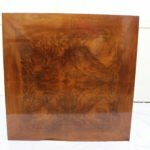 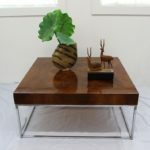 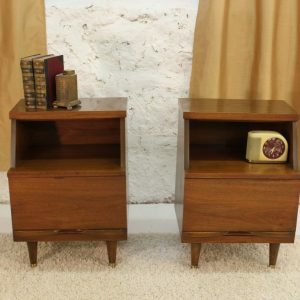 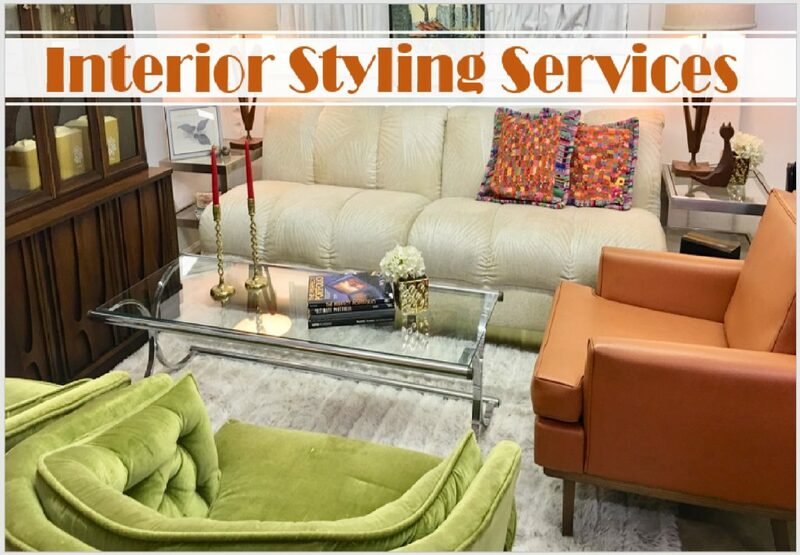 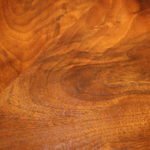 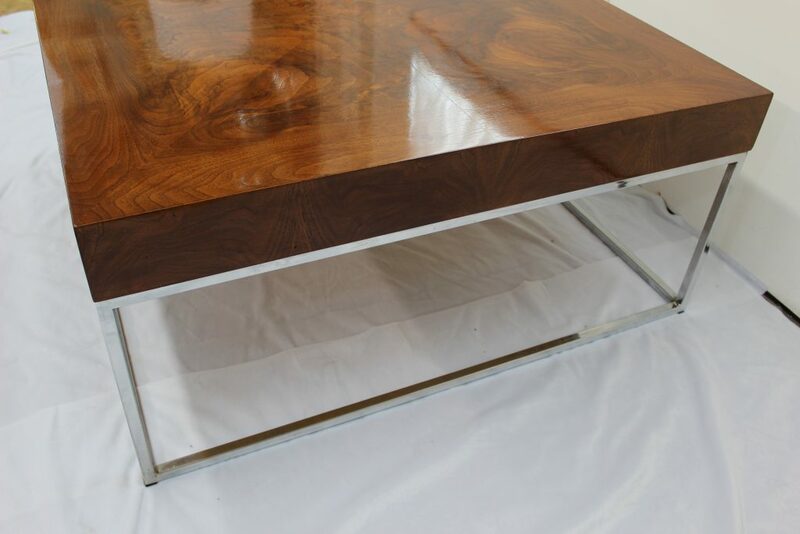 The combination of walnut color and shiny chrome is simply awesome, don’t miss this beautiful table that can be paired with Mid Century Modern, vintage, modern, eclectic, boho chic and flea market styles.